Whatever happened to LondonBeat? That’s a question lots of people must have asked lately. The answer? … LONDONBEAT IS STILL HERE! And now they are back with the new upbeat single Where Are U . The new album, their first in the new millennium, carries the perfect programmable title Back In The Hi-Life . That was the very first song that we wrote after we had decided ‘We will do it again!’ says Jimmy Helms, lead vocalist of the quartet. It’s about reaching for that Higher Love, that illusive muse again. It’s about LondonBeat. Reaching! Perhaps that’s why they haven’t disappeared into oblivion, like so many other bands of their era. Reaching for the stars, but with their feet planted firmly on the ground. These days they find themselves doing concerts in far-flung places like Volgograd, Russia, for 250,000 fans, not to mention more luxurious locations. We’ve just come back from a weekend trip to Nice. Last year we gave a concert there on the Yacht Christina of the Onassis family. The organizers asked us back again this year because they know: the people like our sound. In territory after territory we are happy to learn that our fans have never forgotten us. I’ve Been Thinking About You was their big hit – THE world-wide smash hit. At the beginning of the 1990’s it was No. 1 in Germany, No. 1 in the U.S.( No. 2 in Great Britain)… In fact, No. 1 in 27 countries. One of those magical songs that makes the sun rise on your face. You listen to it just once and you never forget it. It is wonderful a song can keep you in the mind of so many millions of people , says Helms, I think that a lot of people connect the memory of their lives at that time with Thinking About You’ . They still remember where they were and what they were doing when they heard it for the first time. You can never plan something like this. It just happens or not . More than 5 million copies were sold of the single and suddenly the guys of Londonbeat were gobal pop-superstars. Their videos were on high rotation all around the world. After their very first album, Speak , they recorded the In The Blood LP which spawned Thinking About You and A Better Love . Then came a third album with You Bring On The Sun and they had another Top Ten hit. After a fourth LP the original line-up split. Prior to forming Londonbeat, original members Jimmy Chambers and George Chandler had done backing vocals for Paul Young, helping him to achieve hits like Come Back And Stay . Later, Jimmy Helms made the backing unit a three-some and together they helped make hits for most of the major artists of the late-1980’s and early 1990’s. 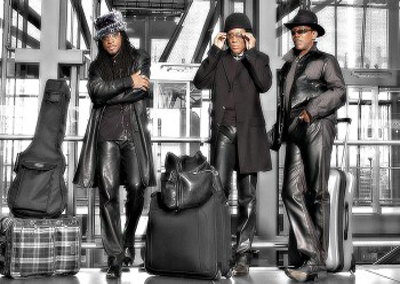 Their own first chart success came with the late 1980’s ballad 9 a.m. (The Comfort Zone) from their debut album Speak . Then, after an impressive list of hits, they all went separate ways. Helms co-wrote a few songs and devoted himself again to his lifework – writing a trilogy – a myth-historical novel about the conquest of America by the Europeans . He has worked on it for more than 10 years now. But now the book will have to wait a little longer. Because together with another original band member Jimmy Chambers, as well as new members Myles Kayne and Marc Goldschmitz, Helms is now doing what he does best: Londonbeat.